Ramon Alonso has been an outstanding student here at Delta College in his studies with the Mechanical Engineering program. His interest in engineering started when he was younger and worked on people’s cars for free, gaining experience in figuring out better ways to fix and build the mechanical parts of cars and other objects. 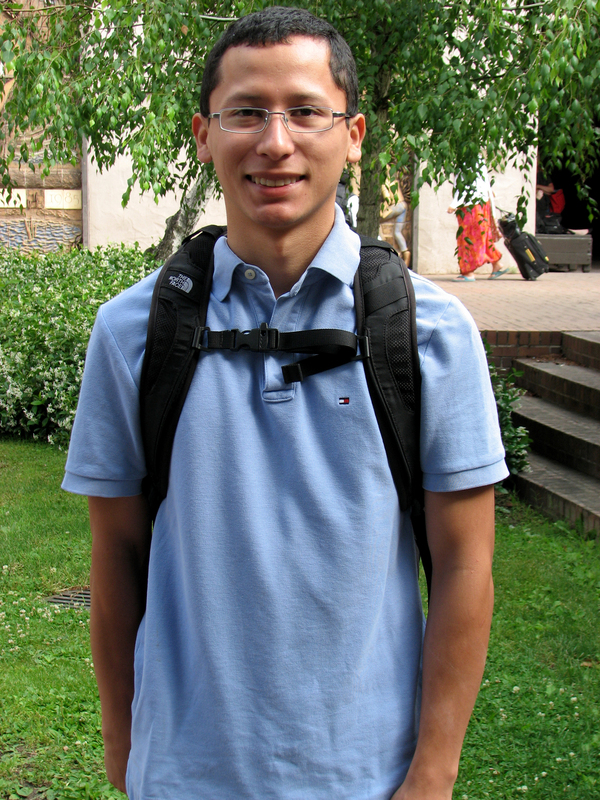 Alonso strived to bring his love of engineering to his fellow students as well as the greater community. He became co-president of the Society of Hispanic Professional Engineers, a group that helps connect people who have interest in engineering to internship and community service opportunities, as well as helping them to acquire more engineering and leadership skills. “Any chance to volunteer, we’ll go do it,” he said. One such opportunity involves a project to rebuild a Taylor-series airplane. Alonso is also involved with the Teacher Apprentice Program as a math tutor, by recommendation of Counselor Debra Louie, as well as his tutoring help with the MESA (Mathematics, Engineering, Science Achievement) program. He has been actively involved in helping give other students the skills needed to transfer to schools. Outside of campus, he had the opportunity to intern at the engineering labs of the University of Michigan and focus on the subject of control systems. “Building and seeing complex systems, it amazed me. It was really intriguing,” he said. Ramon plans to take his talents to the University of California, Berkeley where he will focus on control systems or microelectronic mechanical systems, with the hopes of obtaining a master’s degree. He owes a part of his successes to his advisors here at Delta including MESA Director Cassandra Hernandez-Vives. “With the help from the Director at MESA and everything she’s supported me with, it has been amazing. I’ve never met someone so willing to help me with so much and go above and beyond to write letters of recommendation at the last minute,” he said. The future looks bright; someday he’ll achieve his goal of working for the Lawrence Livermore National Laboratory or the labs of Lockheed Martin.